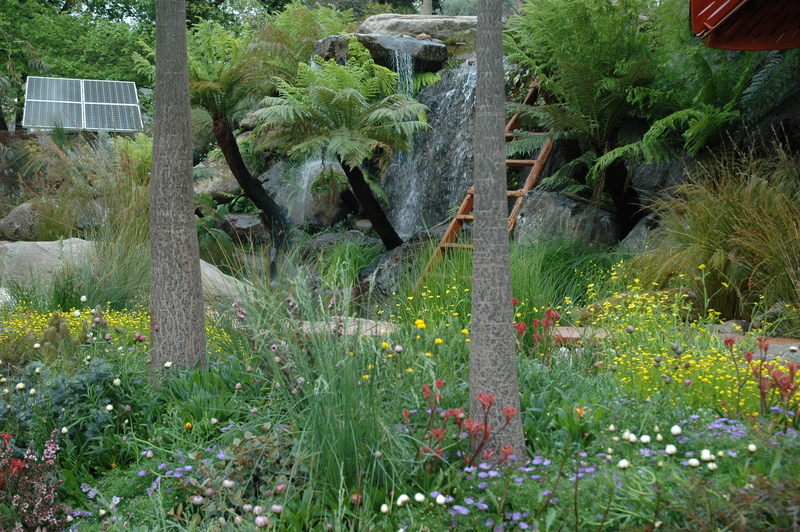 The iconic RHS Chelsea Flower Show in the heart of London is the “Holy Grail” to gardeners around the world. 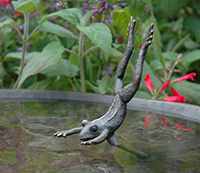 It showcases cutting-edge garden designs and sets the latest gardening trends in a mass of colour. 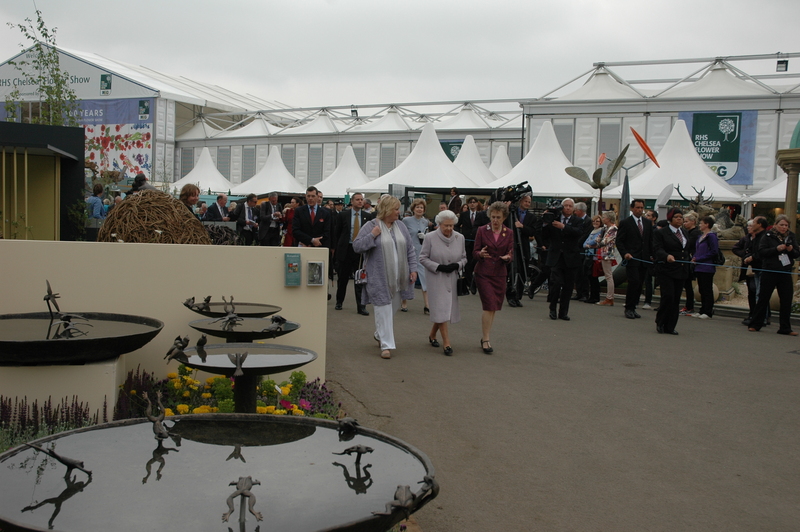 It is the ultimate inspiration for all garden lovers and the most prestigious gardening event in the world. 2019 will be the eleventh year in a row we are displaying our sculptures at the show. Some of the celebrity guests to the show included Gwyneth Paltrow, Jerry Hall, Helen Mirren, Ringo-Star, The Prince of Monaco and plenty more royalty including the Queen who is the patron for the event. 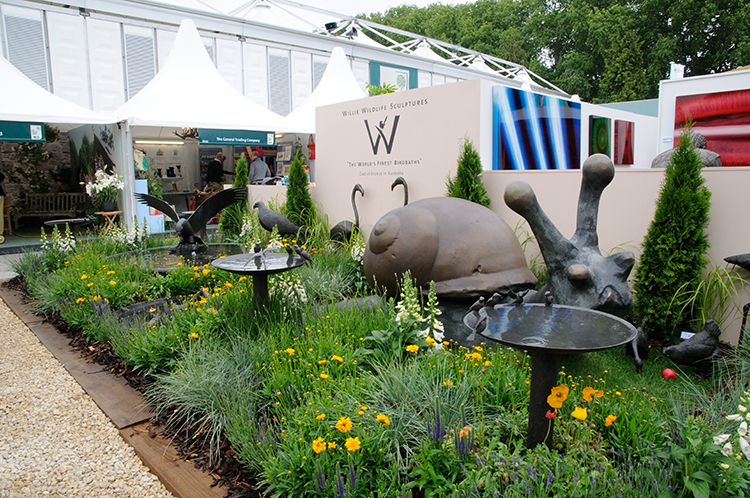 We have been both fortunate and delighted to win a number of awards at the Chelsea Flower Show for our sculptures and our stand. But one of the biggest highlights so far was having a few of our sculptures placed in the 2013 Australian Show Garden which won a Gold Medal and Best in Show. 2013 was also the Centenary Year of the Chelsea Flower Show which made the award even more special. There is a photo of the stunning garden below. If you would like to visit the Chelsea Flower Show in the future remember to book your tickets early as it is sold-out every year.